Free Shipping Included! 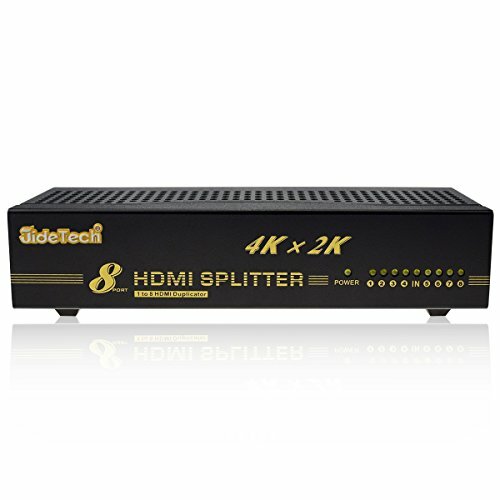 8-Port HDMI Splitter Support 4K x 2K and Full HD 1080P & 3D Support by JideTech at Home Entertainment Centers Online. MPN: GTN-CKL-HD98. Hurry! Limited time offer. Offer valid only while supplies last. Maintains 480p,720p,720i,and 1080i,1080p,4Kx2K high resolution and 3D. Quick Installation, Easy Operation and HDCP Compliant. The HDMI Offers Solutions for Noise, Space and Security Concerns, Date Center Control, Information Distribution, Conference Room Presentation, School and Corporate Training Environments.